At the Family park, you can enjoy a stress-free holiday with the youngest member of the family. On the short drive from reception to your holiday home, you will notice how little traffic there is and how safe the roads are in the Family park. Whichever of our various family accommodation options you choose – fun and relaxation are certainly included. The guest services team offers you exciting afternoon programmes and age-appropriate crafts. Our very own shallow-shelving sandy beach is perfect for digging or building sandcastles. 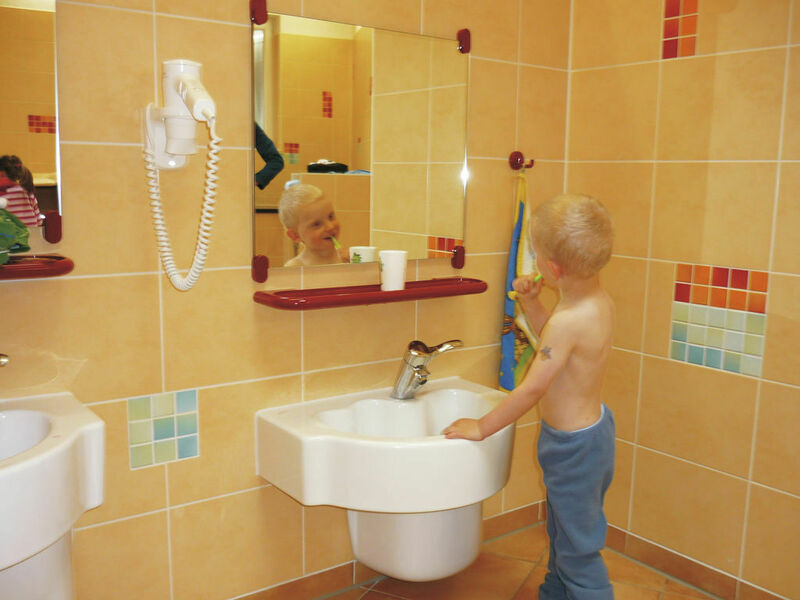 Two of our toilet blocks in the camping area have a lovingly equipped children's wash area with children's baths and showers. 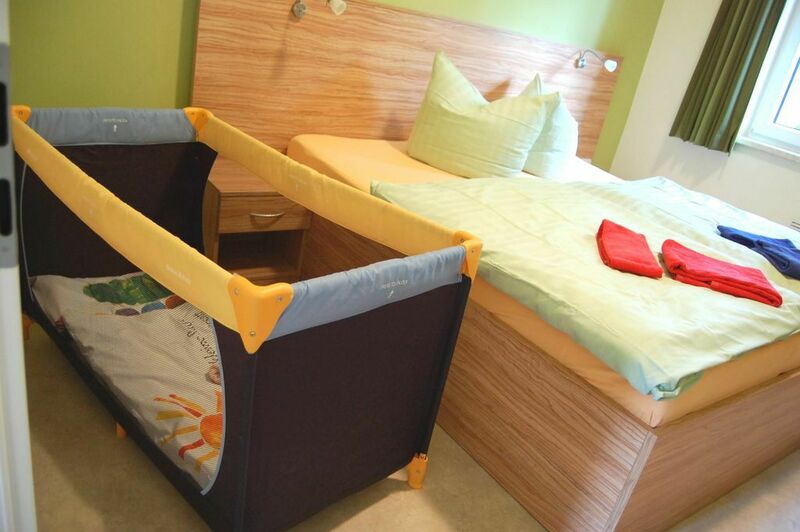 Just ask, and when you arrive at your family-friendly holiday home, a travel cot with baby linen as well as a baby bath and high chair will be waiting for you. Our tots’ playground is especially popular amongst little explorers. Your little one can play to their heart's content with you, siblings or other children.